The computer games industry is big business in the UK, as highlighted by the Eurogamer expo this week. The UK computer games industry is worth £3billion and it employs around 30,000. The North of England has many great games developers so your favourite game might have been developed closer to home that you thought. Getting involved with game development is easier then you might have through. Mobile phone game development along with Xbox arcade and other development environments for consoles make it possible for small teams to develop games. Xbox provides the XNA framework, this uses a set of free tools that allow anyone to start developing games. Finally if you would like to try making 3D graphics you can find try blender http://www.blender.org/ which is a 3D modeling programme. 3D modelling is a real art but there are lots of online tutorials to help you get started. To help you get started with games programming try out the cannon tutorial below. 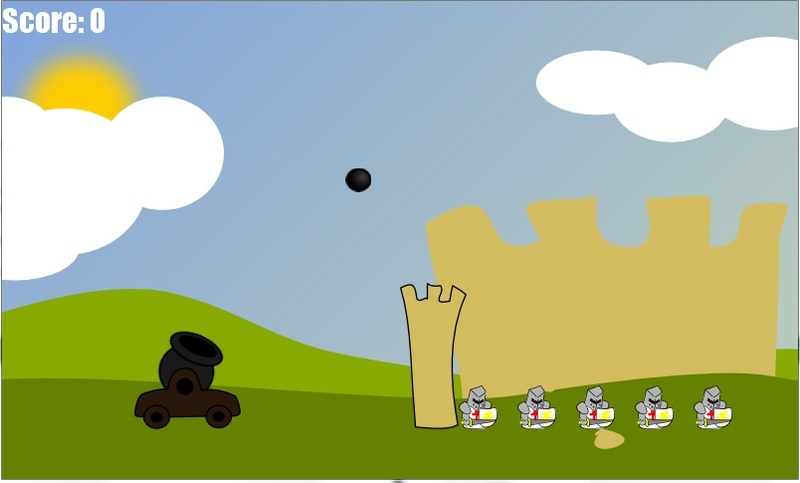 Download the code and edit the game to produce a realistic cannon ball, that flies over the wall to hit the knights.